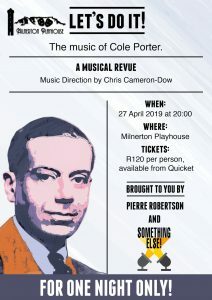 In the comedic drama And Then What?, the playwright explores the theme of chasing a dream, sometimes to our own detriment, without giving much thought as to what comes next. And Then What? 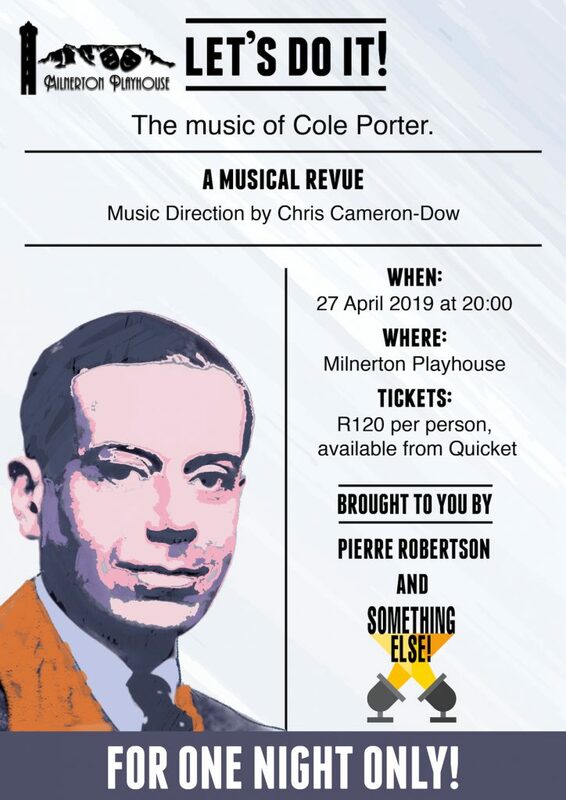 an original play written and directed by Werner Asher Steffen (director of 2018’s ‘Dangerous Obsession’ at the Playhouse) will be performed at the Milnerton Playhouse between 29 March and 13 April 2019. And Then What? 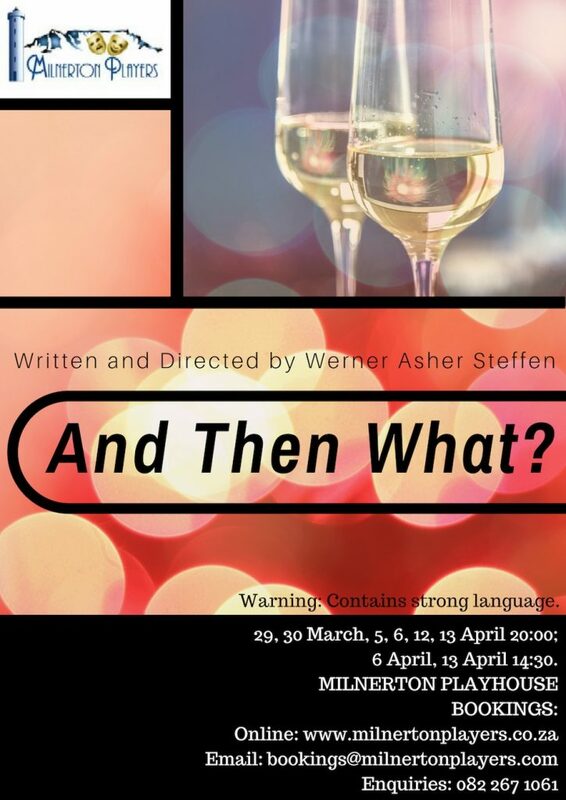 is Steffen’s third time writing and directing, following on Die Lappop in 1998 for the UJ Drama Festival, and the short play Before I Forget at the Milnerton Playhouse in 2018. He is also not a stranger to the stage as an actor, most recently having portrayed roles in Art (2017) and The Christmas Spirit (2018). Does thinking about what is to follow change our decisions or goals? Can we ever with certainty predict what is to follow? Does the question And Then What? require contemplation and a resolution? 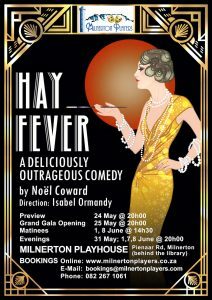 Each one has a series of issues which are thrown into the open when the divorced and brittle Fiona (Lizanne Peters) suggests that Anne (Hannah Crafford) has not thought beyond her imminent wedding day. Asking the question ‘and then what’ throws her into making a rash decision. 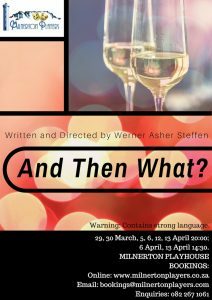 The seemingly confident Bryan (Anton Schӓfer) adds to the whirlpool when he reveals that his fear of rejection renders him unable to pursue a serious relationship ensuring he is in control of his future. Eavesdropping on the conversation and keeping them plied with drinks is the good looking bartender Collin (Shaun Saal) who has his eye on Bryan and, while relatively clumsy in his approach, displays a strength and decisiveness that surprises Bryan. The Barman (Shaun Saal) gets drawn into the drama between the three friends, something that he usually tries to avoid at all cost. At the same time, he tries to get Bryan’s attention, who seems to be either blissfully unaware of or outright ignoring the Barman’s advances. How our own emotional experiences shape our reactions are issues very relevant in our society and Steffen takes the audience into the heart of braving what the future may, or may not, hold by suggesting we take the plunge with some forethought. 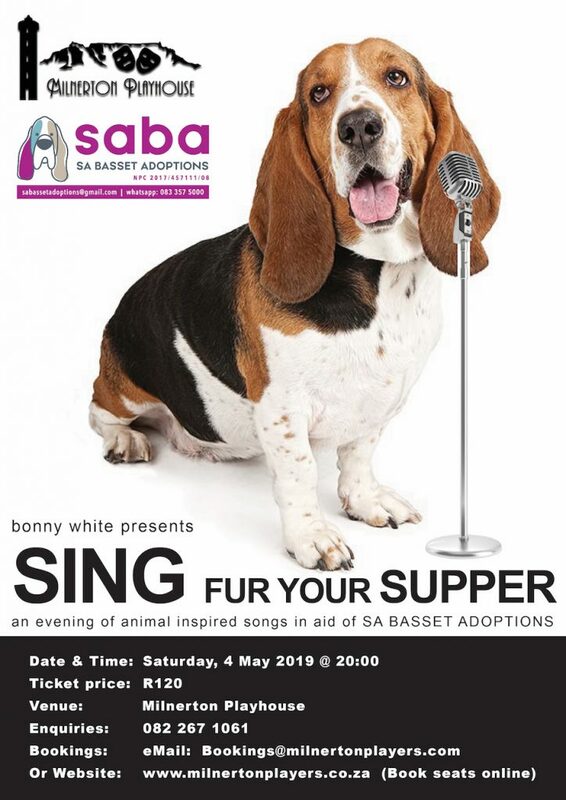 Matinée: Saturday 6 and 13 April. 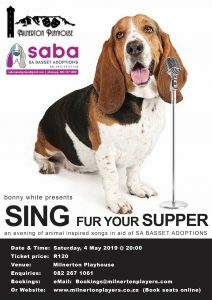 Charity fundraiser presented by Bonny White, in aid of SA Basset Adoptions.